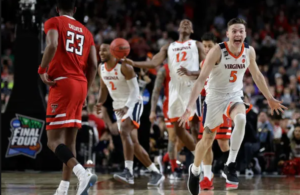 Two former Yale basketball teammates, Chris Dudley and Chad Ludington, found some of their views to be on opposite sides in commenting about the drinking tendencies of the now confirmed Justice of the Superior Court, Brett Kavanaugh. Dudley, Ludington, and Kavanaugh were students together at the renowned university in the 1950’s. Since then The New York Times uncovered an incident when Kavanaugh and Dudley were involved in some rowdy behavior at Demery’s bar at No. 1 Broadway, New Haven, resulting in their being questioned by New Haven police. Dudley should be very familiar to many readers of RoundballDaily.com, having played in the NBA from 1987-88 to 2002-03. But just who is Ludington? From a basketball perspective, comparatively little is known about him. But since this publication is mostly about hoops, let’s explore just how he fits into this story. Charles Cameron Ludington played with Dudley and for Coach Tom Brennan for three seasons, 1984-85,1985-86, and1986-87. He was an impressive 6-8 in height and a 215 pounder, and played mostly off the bench. 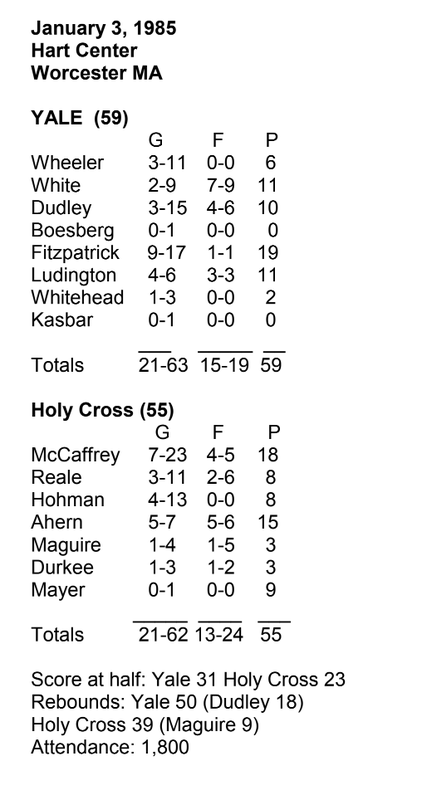 Perhaps his best game was against an undermanned Holy Cross quintet at the Hart Center in Worcester, Mass. It was on January 3, 1985, during the winter break. 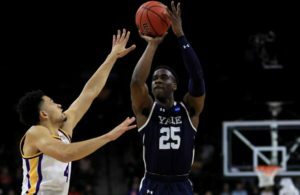 Yale won 59-55, after the George Blaney-coached Crusaders’ four black players, including three starters, had either been suspended or walked off following an earlier altercation in which a white player punched an African-American teammate. Ludington, with what was to be his most productive game for the Bulldogs, scored 11 points (4-6, and 3-3), one more than Dudley. 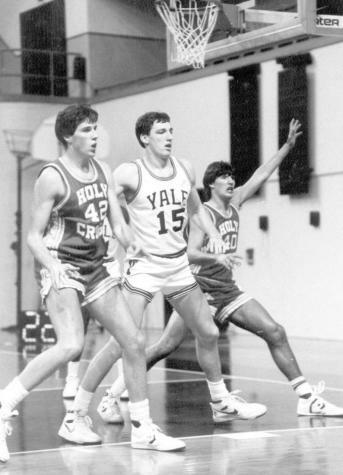 An ironic twist here is that the men’s basketball beat reporter for the Yale Daily News that season 33 years ago was none other than Brett Kavanaugh (See our earlier article). But because the school was on vacation there was no game story in the student paper. Ludington came from North Carolina and went to Exeter, N. H., to attend a prominent prep school, Phillips Exeter. 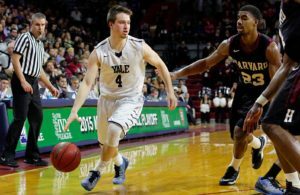 He was class president and played forward on the basketball team, and was named its Most Valuable Player. He graduated from Yale with a bachelor’s degree in history in 1987, then earned a doctorate in philosophy and history from Columbia in 2003. Ludington began teaching at North Carolina State University in Raleigh in 2004. His specialty is Northern European history. Ludington’s writings have been published in several academic journals. He has also authored three books: “The Politics of Wine in Britain: A New Cultural History” (2013), “A Long Shadow: The Story of an Ulster-Irish Family” (2016) and “Food Fights: How the Past Matters in Contemporary Food Debates” (2018). Back to the expressed differences between Dudley and Ludington, they can easily be found through the media, so we do not feel the need to include them here, except for this very brief summary. On the other side of the ledger there is a written statement from Ludington. In it, like Dudley, he also stated they often went out drinking. Ludington did not address the blackout question from his own knowledge but as an opinion.